- 187 SE Duo Fiber Face Brush (half synthetic fibers, half natural sable hair). - 190 SE Foundation Brush (synthetic fibers). - 168 SE Large Angled Contour Brush (natural goat hair). 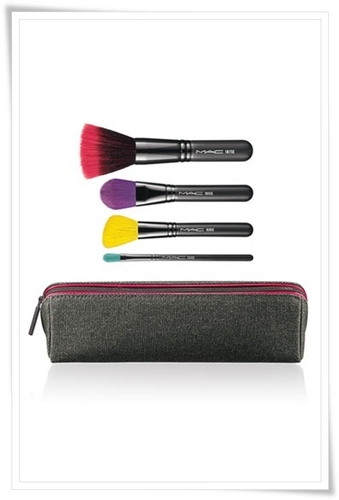 - 194 SE Concealer Brush (synthetic fibers).